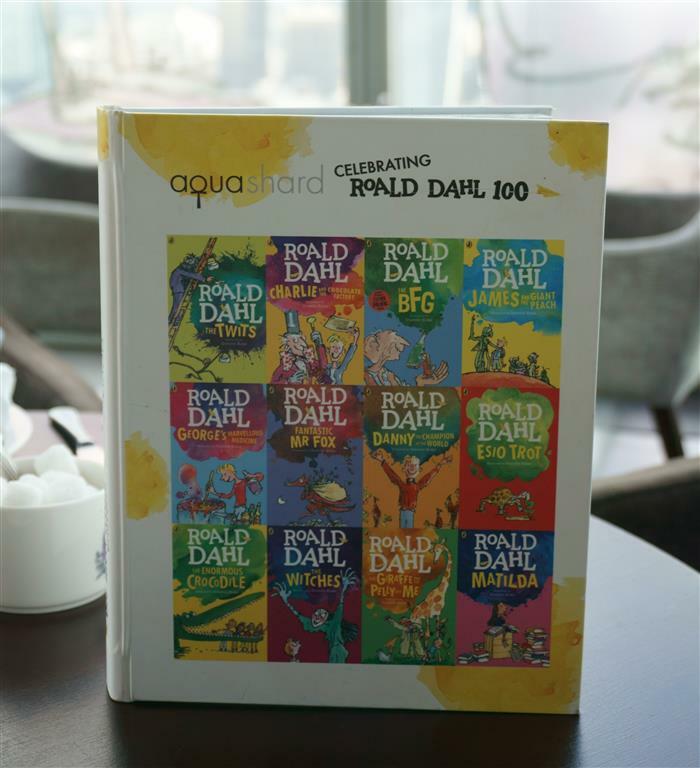 2016 marks the 100th anniversary since the birth of the world’s number one storyteller, Roald Dahl. Throughout this year celebrations were held around the UK to honour Roald Dahl who gave us unforgettable stories such as Charlie and the Chocolate Factory, The Twits and Fantastic Mr. Fox. 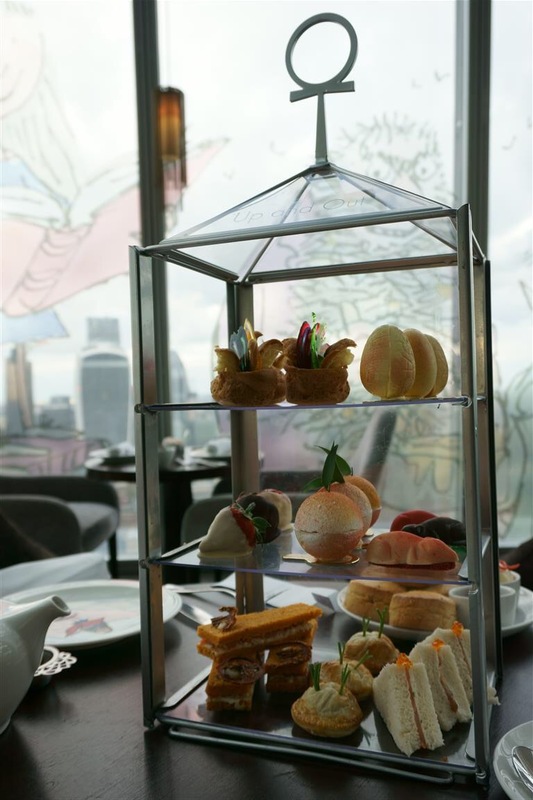 As I’m a big fan of afternoon tea I was looking forward to visiting Aqua Shard for their Roald Dahl themed afternoon tea. 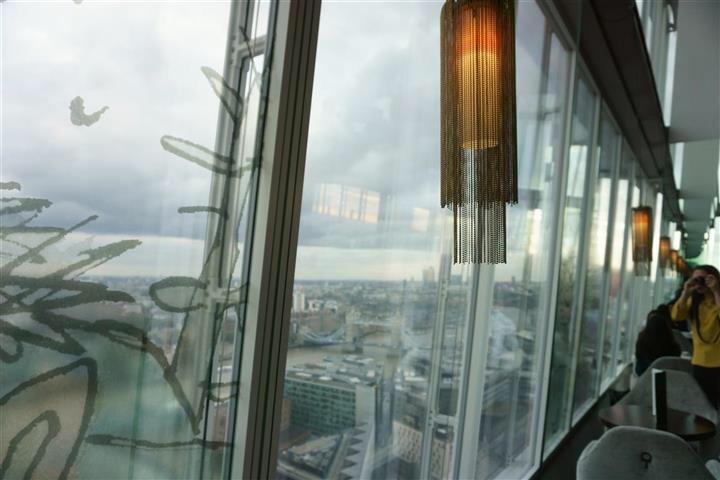 Aqua shard, is a contemporary British restaurant and bar, with breath-taking views from the 31st floor of The Shard. 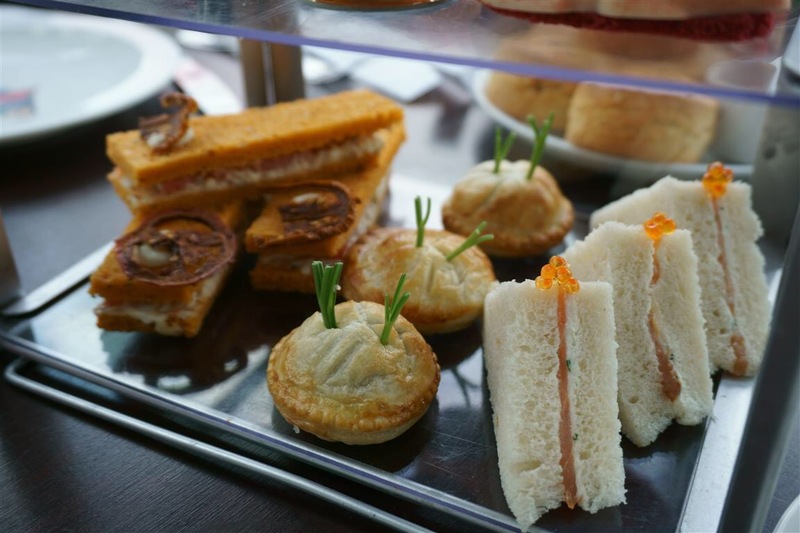 An afternoon tea menu was created to capture the storyteller’s imagination and his fascination with food. 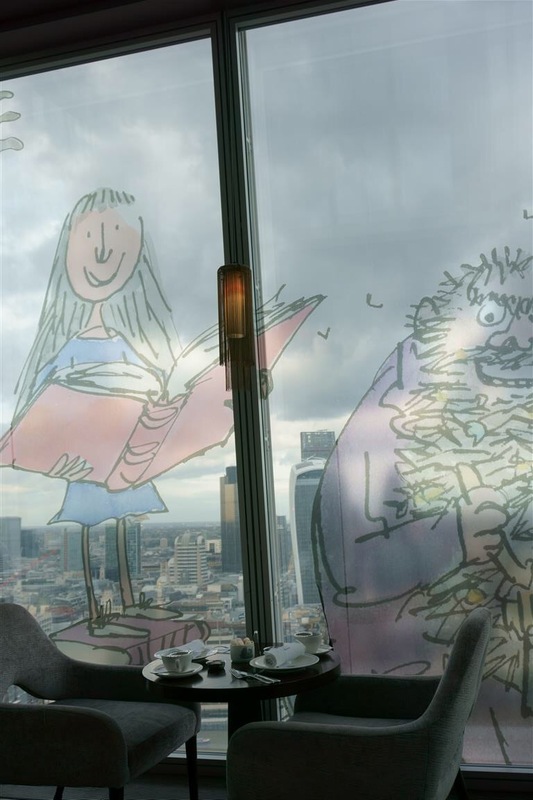 Upon arrival at the Aqua Shard, we were greeted with the high reaching Roald Dahl window graphics. It contributed to setting the playful scene for our afternoon ahead on this very grey day in London. The bespoke crockery was hand painted with Quentin Blake’s illustrations and Roald Dahl’s famous quotes. I was impressed with the effort and thought that went into the Roald Dahl themed décor. 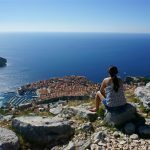 While we waited for our tea to arrive, I took the opportunity to take a few photos of the splendid views. Just a pity the weather was so dull. The array of sandwiches, cakes and sweet treats soon arrived on a grand tiered glass cake stand or otherwise known as “Charlie’s Great Glass Elevator”. Unfortunately as impressive as it looked, some items were lacking a little in flavour. However, each element of the tea was definitely creative in an attempt to bring Roald Dahl’s stories to life. There was the BFG’s breakfast sandwich with fried eggs and bacon served on sundried tomato bread; Pelly’s favourite smoked salmon sandwich based on The Giraffe and the Pelly and Me; and chicken and mushroom golden puff pastries with feet sticking out to create Mr. Twit’s famous bird pie. 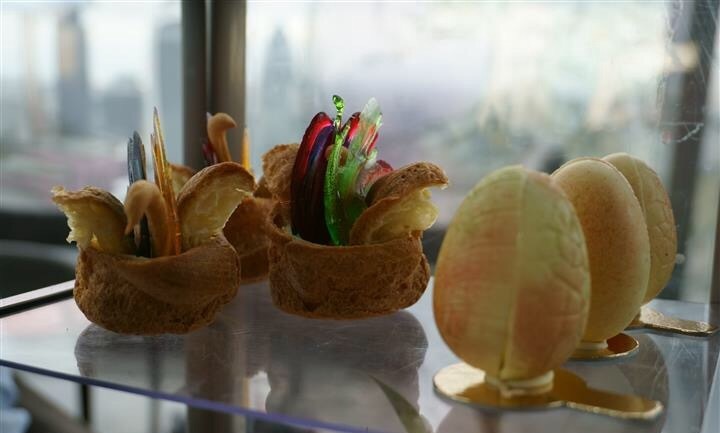 The sweet bites included a meringue filled with peaches and cream inspired by James and the Giant Peach; the extravagant Roly-Poly bird choux bun had delicate coloured sugarwork for wings; chocolate mice filled with strawberry and pistachio sponge sitting in a tiny mouse trap; and a white chocolate crocodile egg containing a bright green jelly crocodile. And of course, there were also golden raisin scones, alongside Jersey clotted cream and sweet strawberry jam. As usual, I enjoyed the savoury eats and could definitely have had more. I found the sweet eats a bit too rich for more liking. 🙂 Did you have a favourite story? Or which one was most memorable for you? Wot?! I have to try that! I think my mum would love it and I definitely would! 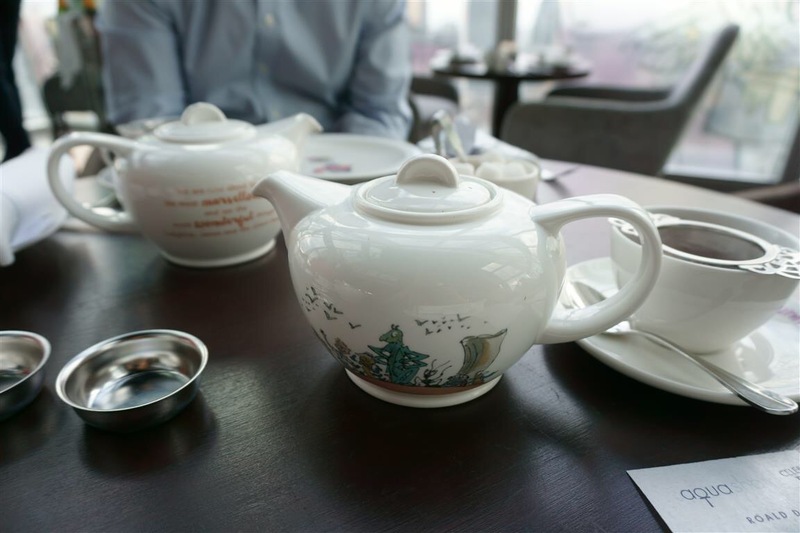 It’s interesting what you say about some items being less tasty – I often find that with afternoon tea but somehow still go along for the experience. Hi Mandy, lol I know what you mean! 🙂 Unfortunately the Roald Dahl tea experience ended at the end of September so the restaurant has gone back to their normal afternoon tea menu. It does look like a fabulous setting for having an afternoon tea. Oh wow this sounds lovely! I am definitely going to check this out. First of all I’ve been wanting to go to the Shard and second of all I would love a menu that is actually a book made with icing inside, YUM. 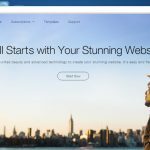 Wonderful review and amazing photos! Thanks for sharing with #GlobalBlogging! This looks so very fun! I love afternoon tea. I just need to hop the train to London more often with so much fun to be had! Ah wow, what a lovely name for your daughter 🙂 I actually stumbled across the tea when I was looking for ideas on places to go. There’s always so many things happening that it’s so easy to miss it! Oh what a shame this has ended as this tea sounds absolutely wonderful for anyone (like myself) who grew up loving the Roald Dahl books. I’m always amazed at just how creative the themes and concepts are that come up in various London afternoon teas!